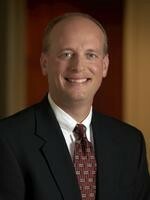 Dan is a financial advisor with over 28 years of experience in insurance and financial services. As a Founding Partner of Castle Advisors, LLP. Dan provides business owners and high net worth individuals with timely solutions to their benefit, insurance and financial planning needs. Helping clients understand and reach their goals through creative solutions is one of his greatest skills. Dan builds lasting business relationships based on integrity, knowledge and quality service. Areas of specialization include Business and Estate Planning, Executive and Employee Benefits, and Wealth Management strategies. He serves with a CPA and Attorney as part of a client's trusted advisory team. Dan possesses a broad range of product knowledge in the areas of Life, Disability, Long-Term Care Insurance, and investments. This skill set allows him to create intelligent solutions that come from understanding both client goals and available product capabilities. Dan started his career with National Life of Vermont in the Burlington Vermont Agency in 1987. He joined NFP Securities, Inc. in 2003 and co-founded Castle Advisors in 2009. In addition to his role at Castle Advisors, Dan holds the chartered Financial Consultant, ChFC, and the CLU, Certified Life Underwriter designations from the American College. These highly respected designations require studies in insurance, taxation and financial planning and hold the designee to a strict code of ethics. Dan is also a member of the National Association of Insurance and Financial Advisors, NAIFA, and has served as President of both the local and state chapters. He is a Registered Representative with Cetera Financial Specialists LLC and an Investor Advisor Representative with Cetera Investment Advisers LLC offering insurance, investment and advisory services. A native of Rochester, NY, Dan received his Bachelors degree from SUNY Plattsburgh in 1981 and relocated to Vermont in 1986. Dan has been married for 24 years and he and his wife Allison have two sons, Josh and Ben. Dan plays golf and ice hockey and enjoys numerous outdoor recreational activities.